Not as religious as your typical business self help book, still wildly repetitive though. Important goal -> focus on leading rather than lagging metrics -> simple scoreboard -> peer accountability on a weekly basis -> win. It's pretty much scrum for the non-development crowd (assuming that having a captive customer can be counted as a leading metric which I think it does). 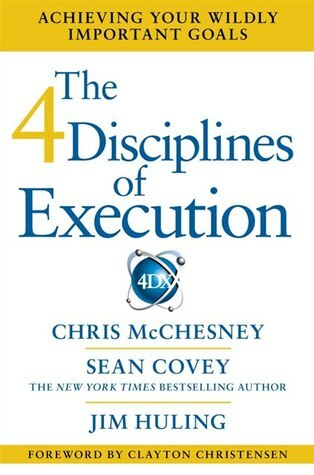 Sign into Goodreads to see if any of your friends have read The 4 Disciplines of Execution.